Countless stories in history of individuals overcoming some of the most extreme hardships are the result of a resilient brain. Project Welcome Home Troops is working to improve the quality of life for thousands of veterans in America through their resilience building program. Cheers to America’s new push-up for the brain! With all the scientific evidence coming in over the years, meditation is now becoming a practice that anyone from any walk of life can embrace. At the newly created Center for Investigating Healthy Minds, prominent neuroscientist Richie Davidson and his team try to see how far our minds can go and how many ways meditation can help us. Veterans learn to use yoga and meditation exercises to reconnect with their emotions in a UW-Madison study. 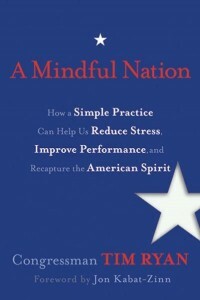 Veterans with post traumatic stress syndrome who participated in early studies told Seppala that the breathing exercises helped them feel calm for the first time they could remember. Stress has a rotten reputation—but not all of it is bad. The “good” kind gets you across the street quickly when you see an oncoming vehicle, or it motivates you to work towards a deadline.Your body enters self-protection mode and puts you in tip-top shape: your immune system, heart rate, attention and memory all gear up for survival.